Pascal Siakam goes 15 for 25 in 33 minutes of action for Toronto. 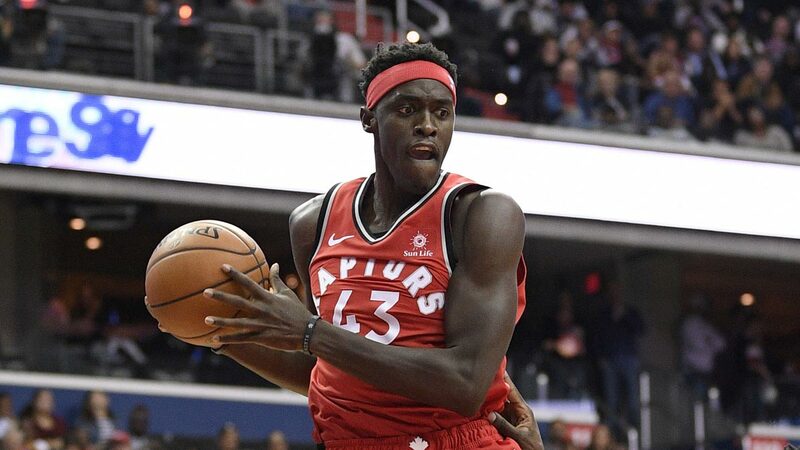 TORONTO — Pascal Siakam scored a career-high 44 points and grabbed 10 rebounds, OG Anunoby scored a career-best 22 points, and the Toronto Raptors beat the Washington Wizards, 129-120, on Wednesday night (Thursday, Manila time) for their sixth straight win. Toronto won without All-Star Kawhi Leonard, who sat for the second time in four games because of a sore left knee. Leonard also missed last Thursday's win at Atlanta. Coach Nick Nurse said he would't mind if Leonard played in Sunday's All-Star Game in Charlotte. Wizards: G Tomas Satoransky was inactive because of personal reasons. ... The Wizards missed nine of their first 10 attempts from 3-point range. Raptors: F Patrick McCaw was inactive because of a sore right shoulder. ... Ibaka has scored at least 10 points in 20 straight games, the second-longest streak of his career. He did it in 21 games in 2014.